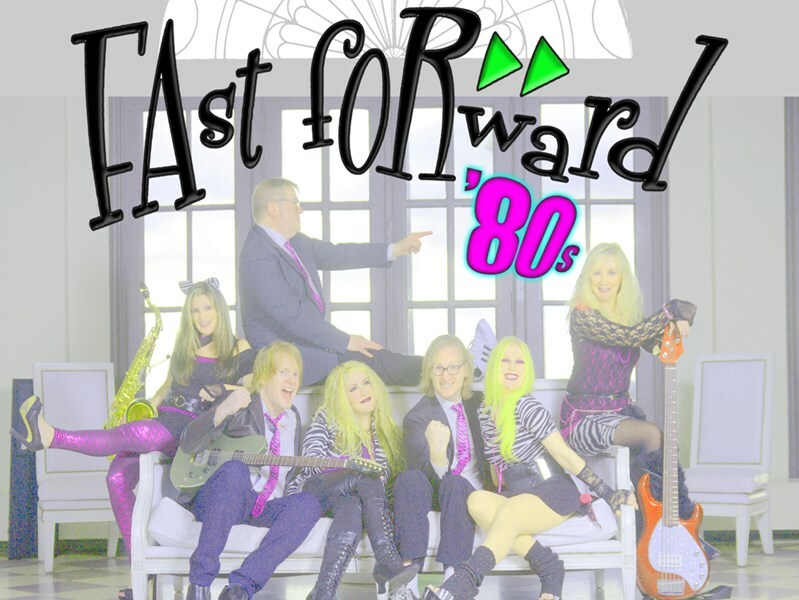 Turn your event into a party to the max while Fast Forward brings to life the totally rad sounds from the most excellent era — the '80s! 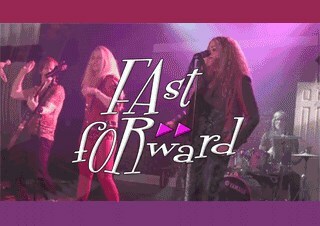 Fast Forward replicates the kitschy, one-hit wonders, R&B, pop, nu-wave, dance, rock 'n' roll, hair metal, even a ballad or two. . . a wicked-awesome mix of music that will undoubtedly stir up your function. Let your minds rewind as this glam-fronted act unleashes the ultimate hits that blasted from ur (parents'?) boom box. The fabulicious talent of core musicians Cassidy, Kerri Parrott, Vicki Lee, Don Lee, Johnny Most & Ken Masson rise to deliver a fun, 5-star performance just for you and your attendees! Inquire about Fast Forward's platinum horn section for a more memorable blowout. Way! Note: For special occasions such as weddings and holiday affairs, the team offers their extended repertoire which spans numerous decades of many genres including current hits, and tailors it to fit your wishes. These guys were so fun and so awesome. It rained and we had to move 50 people to the basement and cut the stage space last minute. They made it work, and I mean they made it work. My wife and I do a new theme every year, but we had so much fun we may do our first redux next year. Loved these guys. I'd hire them again in a second. They were spectacular. I think they did a great job. Everybody had fun, danced and had a great time. They sounded great and were very easy to work with. I highly recommend them for any event. Not only amazing musicians but genuinely very nice people!! They were so fantastic to work with prior to the event. So helpful in creating a set list and suggesting songs. They made my boyfriend's 50th birthday a huge hit! Everyone at the party enjoyed the band. Their vocals are on point no matter what song they are singing. The band members all play masterfully and they are fun and outgoing in between songs. Book this band and you will not be disappointed!! Many Thanks William! We'd love to be back soon. Cheers! They sound amazing! Talented and full of energy. A lot of fun. Professional and easy to work with from start to finish. We had a great time and I would definitely recommend them. Ken and the Fast Forward 80's band was amazing. They made my 40th birthday a blast and everyone was raving about them. Can't wait to see them again. You guys rock! Great band, very professional and easy to work with. All the guests loved the band. My husband and I hired Fast Forward to play at our 40th birthday party and they were nothing short of awesome! Everyone was impressed with how great they sounded and the selection of songs. They even did fun things for the kids that were attending. 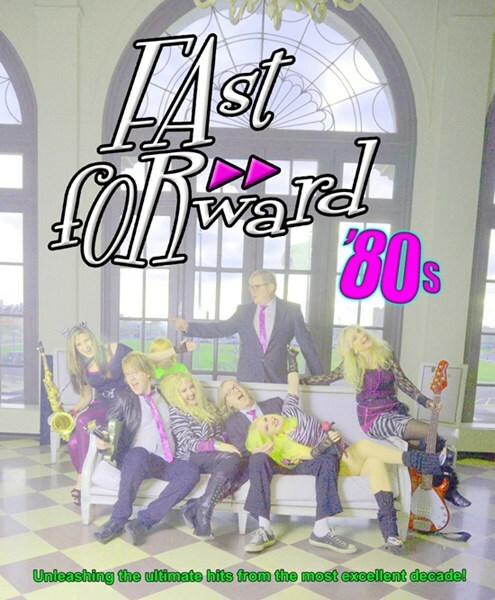 I would highly recommend Fast Forward as a talented and fun 80s band. Fast Forward was prompt, professional, and very talented. I hired them to play a gig at my house, in a tent in my back yard, for my wife's 40th birthday. Everything went exactly as planned. They sounded great; everyone loved them. People have been writing me days afterwards talking about how great they are. My father in law has already recommended them for a friend's wedding anniversary. Would definitely recommend hiring them. Please note Fast Forward will also travel to Glen Ridge, Bloomfield, Verona, Cedar Grove, Upper Montclair, West Orange, Belleville, Clifton, East Orange, Essex Fells, Newark, Nutley, Orange, Caldwell, Kearny, Little Falls, Lyndhurst, North Arlington, Roseland, Harrison, Livingston, Passaic, Rutherford, South Orange, Carlstadt, East Rutherford, Fairfield, Irvington, Maplewood, Paterson.